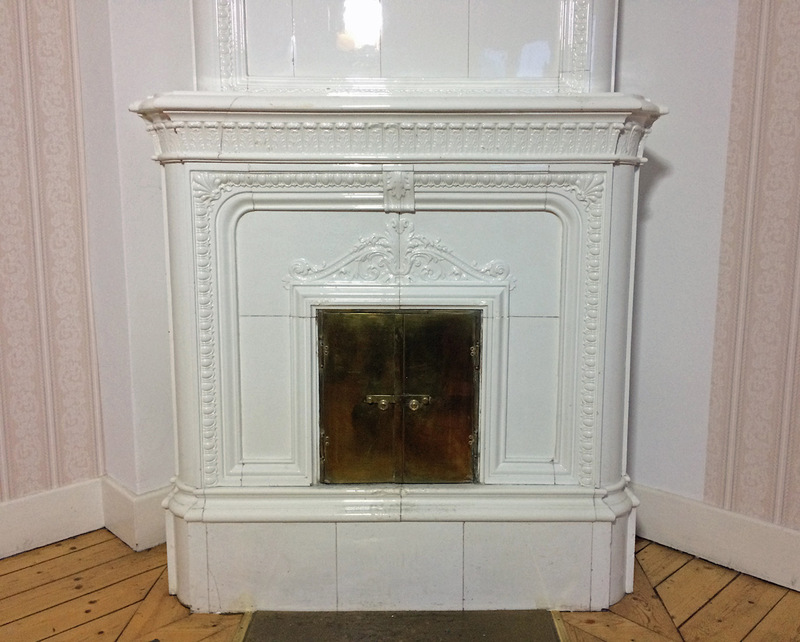 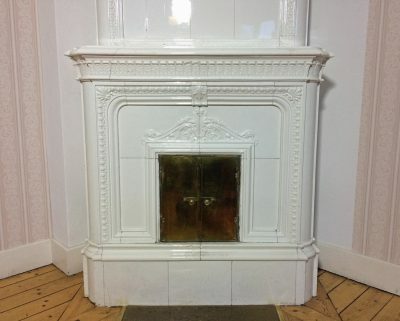 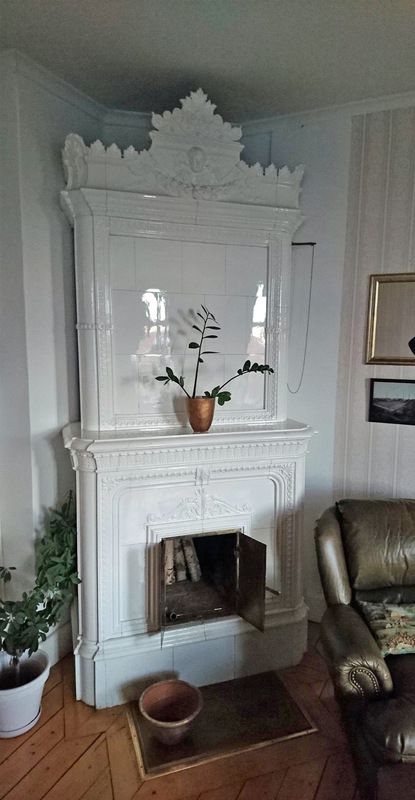 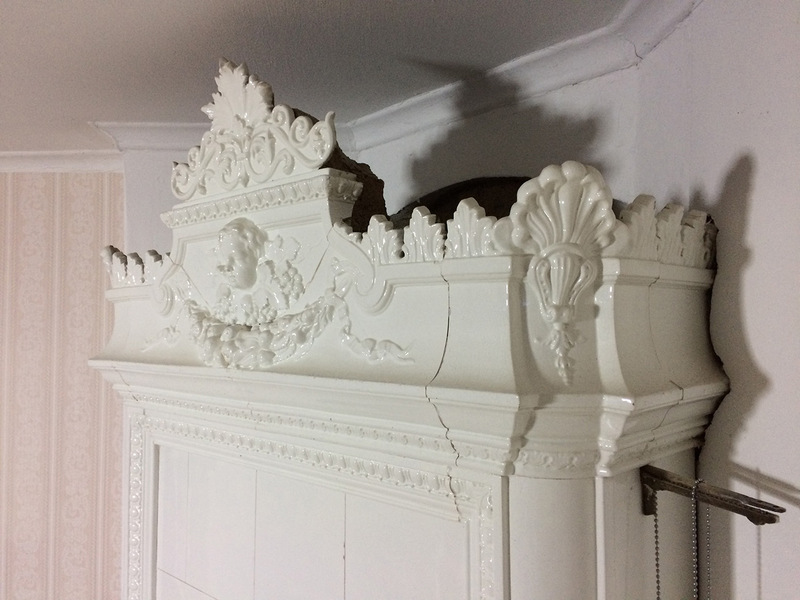 Very attractive all white rectangular tiled stove with a mantelpiece. 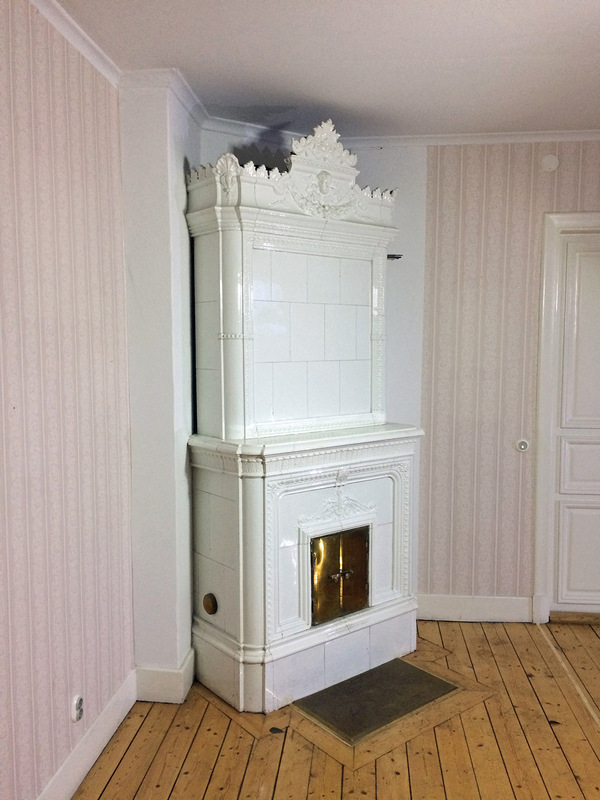 Made by the Rörstrand Factory in Stockholm circa 1895. For a corner installation. 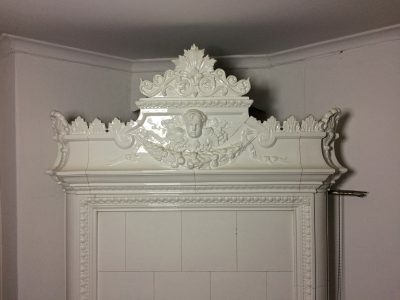 Plinth: 50 x 122 cm.